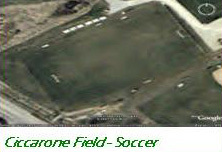 The West Chester Area Sports Association, West Chester United Soccer, West Chester Lacrosse and Little All-American Football Association are teaming up to renovate the natural grass soccer and football/lacrosse playing surfaces to state of the art, all-weather synthetic turf playing surfaces. The upgrade to these facilities will allow us to provide an even safer, year round playing surface for our players. Additionally, the installation of these fields will help us better utilize natural resources and lower our field maintenance costs by providing an environmentally free playing surface that also improves storm water management and eliminates the need for fertilizers and pesticides that commonly are required to maintain natural grass playing fields. Upon completion, the new fields will also be more available for additional community sporting events adding value to our local area organizations. The West Chester Area Sports Association announces the launch of its corporate capitol campaign to fund the renovation of Ciccarone and Kelly Fields at the WCASA sports complex located at the intersection of Route 202 and Westtown Road in West Chester. 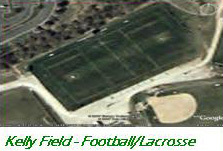 The WCASA is moving forward to construct the synthetic turf fields in the Spring of 2008. Through the generous donations of our local founder Al Kelly (Kellys Sports) and PA State Senator Andy Dinniman (as well as many others), we have obtained approximately 50% of our goal. With an estimated cost of $600,000 per field, we are hoping to acquire the funding through corporate donations in order to alleviate the financial burden of the leagues and the families of the participants. With the life expectancy of these fields around 10 years, any funds over and above the amounts needed for the installation of the turf will be utilized to fund any additional upgrades necessary and the remainder will remain in an account for future replacement of the turf itself. Please see the program levels at the right for addtional advertising/marketing options available in return for your generous tax deductible donation.